Wilmington, an historic port city with roots dating back nearly three centuries, is rich in grand old mansions, riverboats, historic museums, battleships, splendid gardens and Civil War sites. 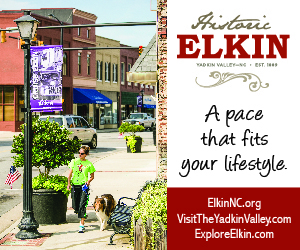 Located in the southeastern corner of North Carolina between the Cape Fear River and the Atlantic Ocean, the city boasts seven National Register Historic Districts and 300 blocks of historic sites, homes, landmarks, churches, cemeteries, museums and markers. Whether touring by foot, riverboat, horse-drawn carriage or trolley, visitors benefit from the perspective of many time periods. Wilmington’s layered history is honored by the city’s steadfast preservation campaign, which began in the 1960s. Historic Wilmington Foundation, one of the first local preservation organizations established in North Carolina has succeeded in saving more than 100 buildings. The city’s collage of Colonial Revival, Queen Anne, Italianate, bungalow and vernacular style architecture stands as one of Wilmington’s finest treasures. Along the city’s oak-lined, cobblestone streets, are a variety of historic buildings, including Bellamy Mansion, Wilmington’s most spectacular example of Antebellum architecture; the Burgwin-Wright Museum, which served as Lord Cornwallis’ headquarters before his defeat; and the Latimer House Museum, a Victorian family home showcasing period furnishings, artwork, family portraits and gardens. 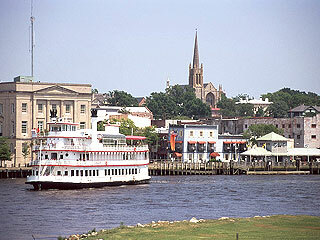 Wilmington is also home to the Battleship NORTH CAROLINA, World War II’s most decorated battleship, and the Wilmington Railroad Museum, which in 1840 was the longest continuous rail line in the world at 161 miles long. In addition to its close proximity to breathtaking beaches, the city hosts a wide range of cultural events throughout the year, such as the North Carolina Azalea Festival, which attracts more than 300,000 visitors annually, Riverfest, and the Old Wilmington by Candlelight Tour. The city has also become a major center for American film and television with more than 400 projects produced there - earning it the nickname "Wilmywood."